Stilo International, developers of the AuthorBridge web-based XML editor and Migrate cloud XML conversion service and Componize Software, developers of the Componize Component Content Management System are pleased to announce their partnership and product integration. 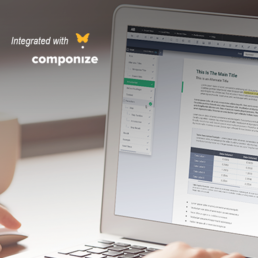 Componize is a DITA CMS that optimizes the authoring, management and publishing of high-volume product information such as product documentation or learning content. Combining enterprise-wide collaboration, ease of use, scalability and an open architecture, it provides the full range of features that organizations need today for their structured content strategy. AuthorBridge is a low-cost, web-based XML editing tool that can be used by subject matter experts with no knowledge of DITA. It was co-developed with IBM, and is complementary to the XML editors traditionally used by technical authors. SMEs are provided with a guidance panel, hover help, in-line assisted text and writing tips to help make structured authoring as intuitive as possible. Through its unique conversion-based architecture, AuthorBridge provides a free-flowing DITA authoring experience, much the same as when authoring in Word. 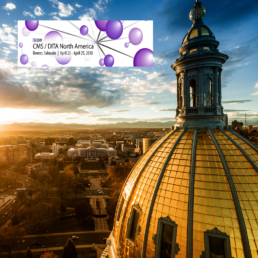 Stilo and Componize Software will be showcasing this new integration at the 2018 Content Management Strategies/DITA North America Conference in Denver Colorado, April 23-25. Contact us if you would like to schedule a demonstration. Stilo International plc (“Stilo”, the “Group” or the “Company”) today announces its results for the year ended 31 December 2017. The Company develops software tools and cloud services that help organisations create and process structured content in XML format so that it can be more easily stored, managed, re-used, translated and published to multiple print and digital channels. I am pleased to report that in 2017 we increased sales by 8% to £1,894,000 and continued to invest in new product development and marketing initiatives while maintaining our levels of profitability. 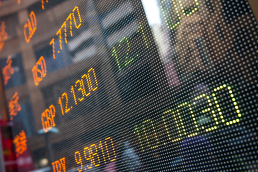 Sales of OmniMark software licences to Japan were particularly strong and we saw a healthy increase in Migrate revenues as the XML DITA market grew encouragingly from previous levels. Recurring software maintenance revenues also increased during the period. The development of AuthorBridge has taken longer than we expected, as v2 development continues into 2018. However, we recognise that this is a multi-year endeavour which will serve to underpin the future growth of the Company, and are encouraged by the feedback so far received from early customers. Our reported profits are stated after the capitalisation of AuthorBridge development costs, as mandated by IFRS reporting standards and we anticipate amortising the accumulated capitalised costs (which now amount to £688,000) over a ten year period starting in the current financial year, following the general release of AuthorBridge v2. With increasing cash reserves, I am pleased to propose the payment of a final dividend of 0.05 pence per share, providing a total dividend for the year of 0.10 pence per share. Over recent years, many organisations have adopted industry specific XML standards eg Publishing (DocBook), Aerospace & Defence (S1000D), Finance (XBRL), Life Sciences (SPL), Software and High Tech (DITA). Stilo made the decision some years ago to focus new product development and marketing efforts on the emerging DITA standard. This standard originated within IBM to support the publishing of its technical documentation and has been increasingly adopted by other software and high tech companies. DITA is now beginning to make inroads into additional market sectors including Manufacturing, Life Sciences and Publishing. Users include The Boeing Company, Pratt and Whitney, Airbus Defence & Space, Clarivate Analytics and Wolters Kluwer. Sales for the year included orders from the European Parliament and the Japan Patent Office. Migrate is the world’s first cloud XML content conversion service and utilises OmniMark technology. Through advanced levels of automation, it enables organisations to improve turnaround times, reduce operating costs and take direct control of their work schedules, providing an attractive alternative to traditional outsourced conversion services. Migrate sales for the year included orders from GE, Brocade, Qualcomm, Tyco, ITT, Microchip, Tibco, Cisco, Deltek, RSSB (Rail Safety and Standards Board), Motorola, Tetra Pak, Viewpoint, AMAT Varian and Atmel. Using Migrate, we have helped our customers convert over one million pages of content to the DITA format. Development of AuthorBridge is progressing well, albeit with some slippage against original schedules. Its initial deployment in production at IBM, following extensive co-operation and testing by the central Information Developer Tools team, serves as a good foundation upon which we can build future sales. The ongoing development of AuthorBridge continues into 2018, as we add functionality that is necessary to advance sales more generally in the DITA market. Planned developments in 2018 also include support for the XML JATS (Journal Article Tag Suite) standard for scientific and scholarly publishers, and for the NISO STS (Standards Tag Suite) standards developed by NISO (National Information Standards Organisation). North America continues to represent a significant proportion of sales revenues as adoption of the DITA XML standard has been primarily led by corporations with their headquarters based in the USA. It is anticipated that adoption of the DITA XML standard will spread internationally over the coming years. Our technical team includes leading experts in the development of XML content processing technologies and along with our support services, are very highly regarded by customers. OmniMark is used in the development of Migrate, and both Migrate and OmniMark technologies are used in AuthorBridge, which results in very efficient integrated development and support activities. As of 31 December 2017, there were 18 permanent employees in the Group, complemented by the use of contractors. In 2018 we will be making additional investments in the recruitment of development personnel, but it is not anticipated that we will be growing headcount significantly, as we look to contain our costs and scale the business through technology sales. The results for the year ended 31 December 2017 have been prepared in accordance with the recognition and measurement principles of International Financial Reporting Standards as adopted by the European Union. In 2017, the results for Stilo show a decrease in EBITDA to £315,000 (2016: £327,000). Pre-tax profits were £309,000 (2016: £318,000). Total sales revenues for the year increased by 8% to £1,894,000 (2016: £1,761,000). The Group continued to benefit from recurring revenue from software maintenance contracts of £929,000 (2016: £871,000) which represents 49% (2016: 49%) of annual sales revenue. The Group continues to maintain careful control over operating costs. Investment in additional development staff has meant that operating costs increased in the year. Operating expenses, excluding capitalised development costs, were £1,591,000 (2016: £1,449,000). Investment in research and development continued in 2017, with total expenditure for the year of £656,000 (2016: £538,000). As a result of this investment, Stilo continues to benefit from research and development tax credits. Of this expenditure, £213,000 (2016: £204,000) relating to the development of AuthorBridge has been capitalised, and the total accumulated capitalised costs will be depreciated over a 10 year period, commencing in 2018. There was a cash balance of £1,621,000 as at 31 December 2017 (31 December 2016: £1,466,000), and Stilo remains entirely un-geared. This Statement of Financial Position stability provides a sound financial base for the Group and will support continued investment in product development, sales and marketing. Further investment in staff recruitment is expected in 2018, however, overall costs will continue to be carefully managed in order to maintain cash reserves at a satisfactory level. Total trade receivables were £126,000 (2016: £348,000), equating to 24 days (2016: 72 days). Overdue amounts are closely monitored. The Board recommends the payment of a final dividend for the year of 0.05 pence per Ordinary Share which, if approved by the shareholders at the AGM on 23 May 2018, will be paid on 30 May 2018 to shareholders on the register on 20 April 2018. The shares will be marked ex-dividend on 19 April 2018. If approved, payment of the final dividend will bring the total dividends paid to shareholders for the year to 0.10 pence per Ordinary Share. The Directors are aware that material orders from two key customers for OmniMark and Migrate will not be repeated in 2018 and the revenue shortfall will need to be offset by new business sales to maintain the current level of revenues. To support this, we are undertaking additional investments in sales and marketing with the objective of further broadening the customer base and accelerating the growth of Authorbridge. We are encouraged by the sales pipeline for new business prospects, but at the current time it is far too early to know what the outcome will be for 2018. However, Stilo has the balance sheet, and product portfolio, not to shy away from incurring costs today in order to sharpen the Group’s long term growth curve and deliver sustainable value growth to investors. Stilo will be exhibiting at this year's Society for Scholarly Publishing (SSP) annual conference. You will find us in the exhibit hall (booth number 418B). Scholarly Publishing at the Crossroads: What’s working, what’s holding us back, where do we go from here? 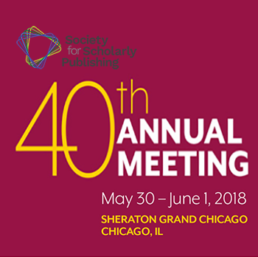 As the Society for Scholarly Publishing celebrates its 40th anniversary, the theme for the conference highlights the many crossroads within scholarly publishing, including past and future practices, changing revenue models, funding challenges, regulation changes, technological innovations, and reaching new markets while maintaining established ones. These crossroads introduce new challenges as well as new opportunities for scholarly publishing and for the communities it serves and push us to keep up with the changing needs of researchers and academics who both generate and use the content. As we look back, could we have predicted forty years ago where scholarly publishing would be today? How can we anticipate the needs for the future? What questions do we need to be asking—and answering—to move forward? AuthorBridge - a web-based editor that enables non-technical users to create and edit XML JATS & STS contentDiscover how Stilo can help you significantly reduce your ongoing conversion costs and associated production times. You are moving to DITA, but you’ve already got reuse happening in your legacy format. Reuse mechanisms don’t usually match DITA’s. How can you keep the added value of content reuse when you move the content to the new format? You may have your reused content in text insets, common files, or snippets. Text insets and snippets can be big or small, contain any amount or type of content, from a single word or phrase to one or more entire topics, and anywhere in between. Reuse in DITA, though, happens at the element level, whether by conref or topicref. So we've got to get your content into a form that is readily reusable as we republish the legacy information, as well as available for reuse in new publications. Thankfully, there's a quick and easy way to do this, and we'll show you how. Join Stilo's Conversion Services Manager, Helen St. Denis, for this Stilo DITA Knowledge Series webinar to learn how to keep the reuse you already have when you move to DITA. So, the decision is made to implement DITA and you now need to convert your existing content from Word, FrameMaker or other unstructured formats. The content audit has been done and you need to figure out what you REALLY need to do to your content before you start the conversion process. It’s maybe not as much as you might think! What is the most useful thing to do pre-conversion? What kind of things influence what else you might want to do pre-conversion? What are the common trouble areas in the different source formats? What is best left for post-conversion? 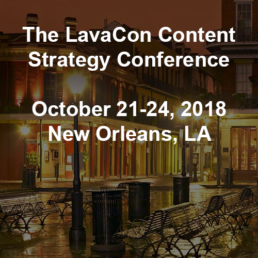 Stilo is pleased to once again be one of the sponsors of the annual LavaCon content strategy conference being held in New Orleans, Louisiana from October 21-24, 2018. You will find us on booth # 21 in the Grand Ballroom, where lunch is being served and close by to the coffee station! This year’s theme is Creating Content Experience Ecosystems. Visit the conference website for further information and to register. In this session, Stilo’s Conversion Services Manager, Helen St. Denis, will show how organizations can get rid of 'unwanted specimens and deadwood', identify opportunities for reuse—create once, publish everywhere—and put in place strategies for maintaining your content assets so as not to get overgrown again. Stilo is pleased to once again be one of the sponsors of the Content Management Strategies/DITA North America conference. Now in its twentieth year, the 2018 conference is being held in Denver, Colorado from April 23-25, 2018. The Content Management Strategies/DITA conference offers many unique networking opportunities. Meet publications professionals who have implemented content management strategies and the OASIS DITA standard in their organizations. Hear from key tool developers who are actively supporting the standards-based community. Find out more about Content Management Strategies/DITA North America 2018 and register. Abstract: You’re considering using DITA and would like to try it out without incurring significant upfront costs, but also keeping your options open longer-term. Where do you start? How will you approach the challenges of content creation, content management, and publishing your content? There are in fact plenty of options. The good news is that XML and DITA are open standards. This has led to a healthy ecosystem with quality commercial and inter-operable open source tools, that do away with vendor lock-in and keep operating costs down. We will discuss the three challenges, show an example of how end-to-end solutions can be built based upon Git and other open source tools. In fact, the result may be better than you’d expect. Stilo International plc (“Stilo” or the “Company”) has been notified that David Ashman, the Company’s Chairman and Non-Executive Director, has today purchased 400,000 ordinary shares of 1p each in Stilo (“Ordinary Shares”) at 4.75p per Ordinary Share. Following this purchase, David Ashman has a beneficial interest in 13,712,000 Ordinary Shares, representing approximately 12.03 percent. of the issued share capital of the Company. 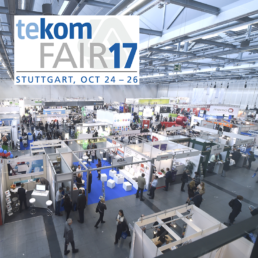 While not exhibiting, Stilo will be attending the tekom Fair 2017 in Stuttgart, Germany on Tuesday, October 25 and Wednesday, October 26. If you would like to arrange to meet with one our representatives, drop us an email. Learn more about Stilo’s Migrate – a cloud service that automates the conversion of content including MS Word & HTML to DITA, JATS & other XML formats, and AuthorBridge, a web-based editor that enables non-technical users to easily create and edit XML content. The tekom fair – together with the tekom annual conference and the tcworld conference, held simultaneously in English – is the world's largest event for technical communication. The fair takes its visitors to its venue, the ICS (International Congress Center Stuttgart) – Messe Stuttgart. Find out more and register here. Come and meet Stilo at the Frankfurt Book Fair in Germany, you will find us in Hall 4.2 - as part of the Professional & Scientific Information Hot Spot, on booth N92. Learn more about Stilo's Migrate - a cloud service that automates the conversion of content including MS Word & HTML to JATS, DITA & other XML formats, and AuthorBridge, a web-based editor that enables non-technical users to easily create and edit XML content. 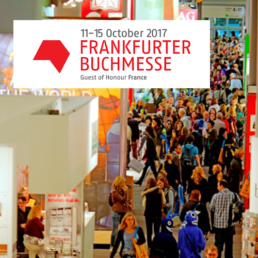 The Frankfurter Buchmesse is the most important international trade fair for content, the center of the international media world and a major cultural event. Nowhere else in the world does the publishing and media industry show itself from a more diverse, innovative and international side than during these five days in October. Find out more and book your fair ticket. XML-based workflows are becoming increasingly well-established. Moving to an XML-based publishing environment can save time and money and make new publishing paradigms possible. Discover how Stilo can help you significantly reduce your ongoing conversion costs and associated production times.